So, I’ve had my iPad for over six months now, and the shine has not yet worn off. I still love it, and find that it fits our house perfectly. We share a laptop, and the iPad gives me most of the functionality I use regularly, in a smaller, lighter, and more comfortable package. I get a lot of questions from knitters about how I use my iPad for knitting, and I thought it might be a good time to tell you what I’ve learned over the past six months. Over the past six months, I’ve come to prefer the iPad for web browsing over my laptop, desktop computer, or iPhone. The touch interface makes it easy to zoom in on details, or navigate, and the iPad is comfortable to hold or prop up on my lap. It probably goes without saying that knitblogs look great on the iPad as well. One point of caution, though. The iPad and iPhone do not have support for Adobe Flash, so many embedded YouTube videos on blog posts or Twitter will not work directly. 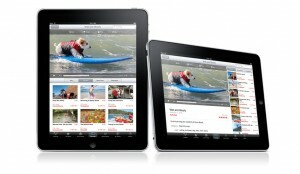 You may need to launch them in the YouTube application, that comes standard on the iPad. That said, the YouTube application is great for finding knitting instructional videos. And, they look awesome on the iPad’s screen. A second caution here is that the web is only available if you have a 3G iPad and associated Data Plan, or a WiFi connection. For me, this is fine. I have the WiFi version, and since I have WiFi both at my house and at my LYS, I’m rarely unable to go online. Without question, the best feature of the iPad for me is as a pattern and chart reader. I’ve started primarily knitting from PDFs stored on the iPad. It’s never too dim to read, I never crumple up the pages and lose them, and because I can’t take notes directly on the pattern, I find I’m better at writing my notes somewhere I’ll actually find them later; in a notebook or on the iPad in the Pages app. I can’t live without this PDF and file reading application for my iPad. You can use it to link to your Ravelry pdf pattern library, and download all of your patterns for knitting on the go, even offline. I use it for knitting from new designs; I pdf my draft patterns and use the WiFi sync mode to put on my iPad. As a chart reader, Goodreader works great for me. My design process is to make pdf charts in excel. These load perfectly onto Goodreader. I can zoom in, and use the scroll to keep track of where I am by hiding previous rows. Apple’s word processor, Pages, is actually quite good. I use it to keep notes as I knit, especially when working on new patterns. But it’s also perfect for preparing class notes and handouts when I teach. It contains some built-in page layouts that work great for simple purposes. I haven’t gotten too deep into this category of iPad apps, mainly because my design dance card has been overfull this season. One app I really like is Adobe’s Ideas. It’s kind of a photo editing program and kind of a drawing program. For design ideas, it’s great for me. I can import photos, draw on top of them, or just freehand draw…. whatever I feel like! I also like how Ideas helps organize designs; they can be tagged or browsed. I plan on using this more and more. I’ve recently begun using my iPad as a project management tool too. In addition to my work and home responsibilities, I’m still running the Year of Lace and a pattern business. In the last week, I purchased 2Do for iPad. It has the ability to set up several projects and associate tasks with projects and deadlines. Basic stuff, but it’s making me feel so good to cross items off my list! It also has the ability to sync to desktop calendar applications, but I haven’t gone that far just yet. As of November 2010, there are just a handful of knitting-specific applications. None of them are must-buys for me, even at $0.99, but that’s just me. I’m not the market of a ‘learn to knit’ app, or knitting needle tracking chart. Because I generally have access to Ravelry through WiFi when I need it, I just use it to keep track of things like needles, books, and stash. No, there is no Ravelry app. However, since you can use the web to browse Ravelry with no restrictions, there isn’t really a need for one… yet. If this is to replace a computer for many activities (like in my situation), you’ll probably want to spring for one of Apple’s keyboard accessories. I have the keyboard dock, and it’s great for longer emails, blogging, and heavy word-processing tasks. 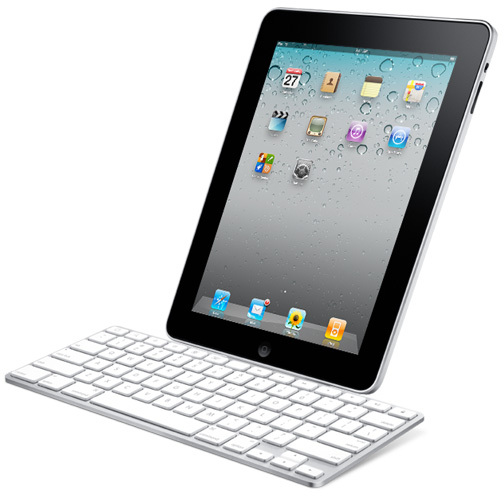 The on-screen keyboard is fine for short notes, but I prefer a physical keyboard when I have to do a lot of typing. This dock has the advantage of also being able to charge your iPad, and the integrated stand holds it in the vertical position. 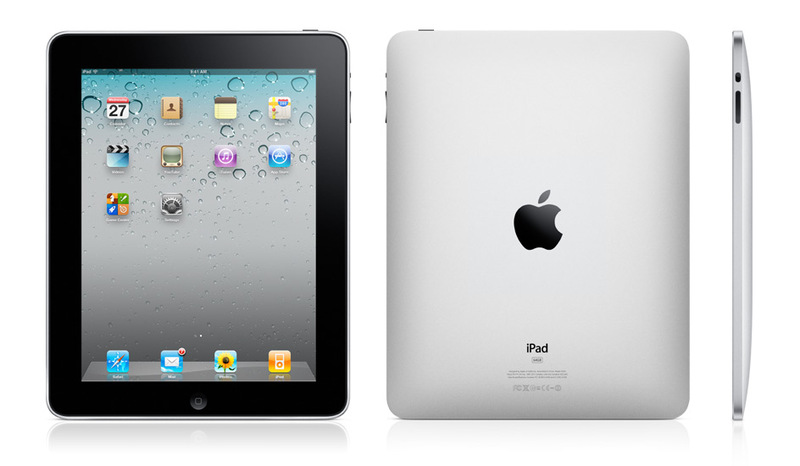 Without a built-in camera, the iPad isn’t ideal for taking and uploading photos. Although there’s a camera attachment available to directly import digital photos without connecting to a laptop or desktop, I haven’t used it yet. Instead, I tend to put everything on my laptop, and sync over photos I need to my iPad. Another option is to use email to send photos to myself, either from my iPhone, or from a computer. Then, once they’re on the iPad, I can upload to flickr and from there, to Ravelry. I probably should get that camera connector dongle. It would make life a little easier, for times when I’m away from the computer for an extended period of time, such as when I’m visiting my family in Illinois. Still, because I prefer to have everything in one library on my laptop, my current system works ok.
Again, let me stress that the iPad isn’t for everyone, for all uses. It is not a netbook or a computer. It’s more of an appliance, IMHO. You can’t install your own software on it. You have to jump through some hoops if you want to rip your DVDs to iTunes and sync to it. And all apps have to come from the iTunes app store, unless you jailbreak the iPad. I love my iPad and I love to knit. It’s become my favorite knitting accessory.